It is said that Estonia’s position at the beginning of the race was better than that of Lithuania and Latvia – the support of the Scandinavian countries had a significant impact on the advancement of Estonia’s welfare. 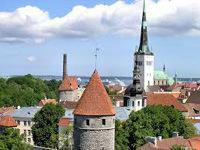 Currently Estonia is independent energy producer thanks to existing oil shale deposits. Yet, the constant tension raised by the Russian-speaking citizens (they account for about 25 percent of Estonia‘s population) partially aggravates the situation in the country. Estonia’s timely insights on top trends and strategies – to focus on information technologies – have proven to work and promoted a small country’s shift to a smart country. For instance, the Information System of Government Sessions, better known as e-Cabinet, is a powerful tool that the Estonian government has been used for 10 years to streamline its decision-making process. It lets ministers prepare for cabinet meetings, conduct them and review minutes, entirely without paper. The system keeps relevant information organised and updated in real time, giving ministers a clear overview of each item under discussion. The ministers access the system to review each agenda item and determine one‘s own position. They can click a box stating whether they have any objections or would like to speak on the topic. That way the ministers‘ positions are known beforehand. Decisions that have no objections are adopted without debate, saving considerable time. Once Estonia adopted its e-Cabinet system, the average length of the weekly cabinet meetings was cut from 4 to 5 hours to just 30 and 90 minutes. Besides, the e-Cabinet system allows the ministers who are abroad to participate in the meetings. The People’s Assembly (Rahvakogu) is another example on how technologies could increase involvement of citizens in the law making and political processes. This Internet Forum is focused on strengthening the election system and the role of the parties and civil society in the political process. Discussion results are submitted (in the form of proposals) to the Government. Besides, in 2007 Estonia became the first country to launch remote electronic voting in parliamentary and municipal elections. The electronic voting system e-Voting provided for an increase of participation (voter turnout), reduced the overall cost to operate and manage the election process, and was less time consuming. It was especially relevant for the senior people or persons having health problems; it also facilitated the turnout of the Estonian citizens residing abroad. In the 2011 parliamentary elections 24,3 percent of the Estonian population used the Internet voting. On the other hand, although it is a progressive system, the problem of ‘a man-behind-the-curtain’ remains and can distort the election results. According to the World Bank’s data, Estonian high-tech industries now account for about 15 percent of GDP. The success of the IT sector has been determined by the development of Skype, GrabCad, Hotmail, Transferwise, Kazaa and other softwares. The success of the IT sector in Estonia has also been determined by a favourable state policy and legislative environment. 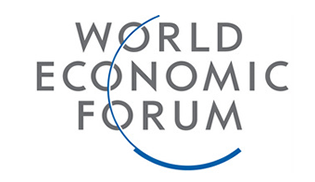 When asked about the origins of this policy, President Toomas Hendric Ilves said that everything started from reading a book by Jeremy Rifkin The End of Work about the information technology eliminating jobs. With only 1,3 million population Estonia had to find the ways of accomplishing the same tasks with less manpower. The citizens were encouraged to use new technologies and innovations; consequently, even 8 out of 10 Estonian households have Internet connection at home. Recently Estonian Government presented a computer-based pilot programme allowing Estonian pupils (including primary school kids) to learn computer programming at school. Therefore the innovations like an electronic identification card are not a surprise anymore. The NATO Cyber Defence Competence Centre established in Estonia also seems to be a logical solution. Moreover that the country has experience in this field: the Estonian Cyber Defence League consisting of volunteer programmers, lawyers and IT security specialists has been established under the Defence Ministry and is ready to function during a cyber attack. Estonia‘s timely focus on information technology has worked. Small-size country is a secondary factor thanks to the introduction of new technologies which helped to solve the problems of the low-level logistics infrastructure inherited from the soviet period. If Estonia had chosen a more traditional strategic economic development trend, it would have faced serious problems.